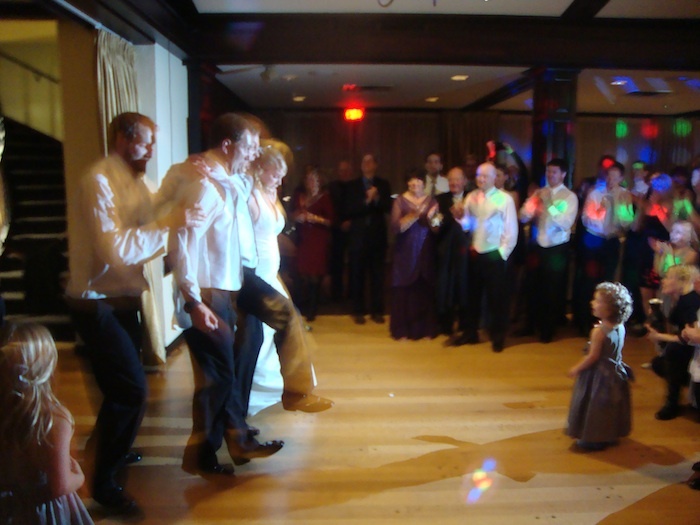 How many weddings have you been to where the bride does line dance kicks with her three brothers to "Home For A Rest"?? An amazing way to "kick off" 2011, congrats Lindsay-Rae + Stephen thanks so much for having me! You can read more about the wedding at Capilano Golf Course on the Mint Events Blog courtesy of Jillian Christison, wedding event planner. "Brent was very professional in his approach from the word go - being available to assist with pre-wedding planning and asking all the right questions to tailor the evening's entertainment. Brent has an extensive music database with all of our favourites, and played songs that appealed to all of our guests - old and young. Many of our family and friends have commented that our wedding was one of the most fun weddings they have ever been to. Thanks Brent for helping make our special day such a great success!"